And it has been unreal so far. Every 5 out of 10 inquirers ask about BSNL Penta 701c Tablet PC, about its performance, features, availability, price and what not. So, we couldn’t resist much and get our hands on this very Tab so that we can tell you all about this tablet. See the Specification and features list of Penta Is701c Here. NOTE: BSNL Penta IS701c at Rs 2499 offer is no more valid. See here the list of Tablet below Rs 5000. So now, first and foremost, let’s start with how the appearance of the Tab is? I have a white cased beautiful looking 7 inch Tab in my hand and the appearance is very soothing, the credit goes to the white color casing of the Tab. How heavy is the Tab? A little more than what you would think but is ideal and feels good and griped. Is it an early riser; startup time? It takes almost a minute for this Tab to start and initialize completely. The first sound which bursts out of the tablet as soon we start the tablet might scare you to run away. But after that, it is just normal. How nippy is it inside run; switching screens and inside the menu? This is something which is really impressive at this price. I have used the Tab for at least an hour now but the moment out of any running application, I can browse for another without experiencing any delayed response. So, I could say 701C is surprisingly seamless, given the price. How big storage is featured here? The storage status is: 4GB internal which expandable up to 32GB using external memory card. Fair enough! What about the processor and the RAM? ‘Decent’ is the word keeping in mind the price at which one can buy this Tab. Both complement each other very nicely and not very often you would feel disappointed by its performance. 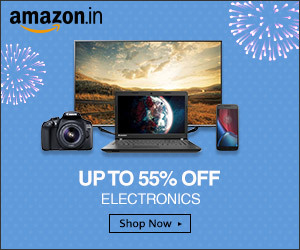 Is screen resolution good enough? Well screen resolution seems to be an issue. If you are used to higher end Tabs you might find this one a bit repulsive. 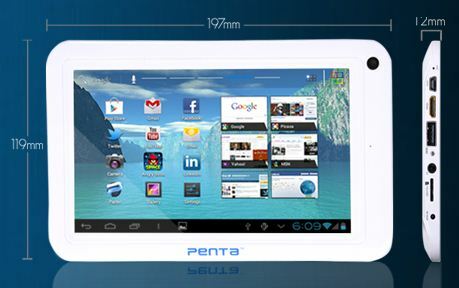 Having said that, the Tab’s resolution is just as good as any other budget Tablet in the price vicinity of Penta 701c. Now the issue is also the viewing and. Of course you don’t get it as broad as a mid range or high range tablet pc. But it all boils down to the fact that with its price, 701c is still a good buy. Can I insert a SIM? The big question: How about the dongle support for the internet? Well, I tried this Penta 701c Tab with three different dongles and with three different SIMs. The three different dongles which I used were MTS, IDEA and Airtel. The different SIMs used were Docomo, Idea and Airtel. I paired each one of the available options and could reach to the successful internet connectivity every time. So, I assert you don’t have to worry much about dongle support here. We have also uploaded a video on the Youtube showing how to connect BSNL Penta 701c to the internet successfully using different dongles. By any chance GPS or at least A-GPS is featured inside? No, not yet. Let’s hope the makers incorporate this technology very soon as a few others have already started coming up with Tabs with A-GPS in this very budget segment. What are the major worries tied to this Tab? 1> The Tab gets heated up too quickly, which might spoil your longer experiences with the Tab.